Throughout the world, Christians gather today to pray in order to honor the wounds of the cross. 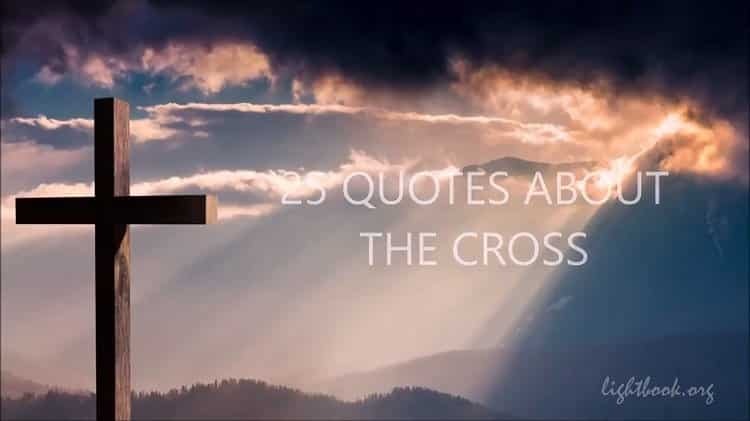 Here are 25 quotes to help you meditate on the pain and wounds of our Lord and Savior Jesus Christ. – Mount Calvary is the mount of lovers.All love that does not take its origin from the Savior’s passion is foolish and perilous. – No one, however weak, is denied a share in the victory of the cross. No one is beyond the help of the prayer of Christ. His prayer brought benefit to the multitude that raged against him. – As they were looking on, so we too gaze on his wounds as he hangs. We see his blood as he dies. We see the price offered by the redeemer, touch the scars of his resurrection. He bows his head, as if to kiss you. His heart is made bare open, as it were, in love to you. Hi s arms are extended that he may embrace you. His whole body is displayed for your redemption. Ponder how great these things are. – The death of the Lord our God should not be a cause of shame for us; rather, it should be our greatest hope, our greatest glory. – The passion of our Lord and Savior Jesus Christ is the hope of glory and a lesson in patience. our nature seated at the right hand of God and we made children and heirs of God.